Size of this preview: 799 × 600 pixels. Other resolutions: 320 × 240 pixels | 1,058 × 794 pixels. 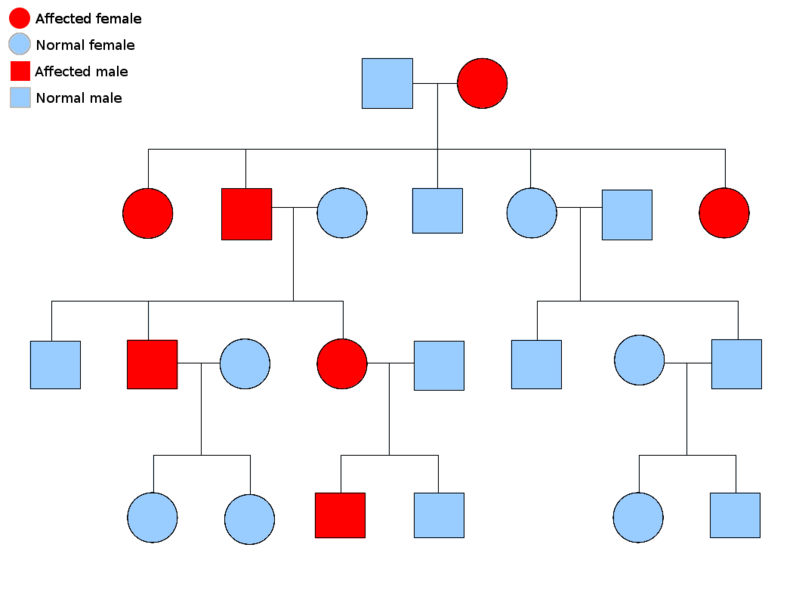 Description: Pedigree chart of the inheritance of an autosomal dominant disorder.